Bespoke Kitchens in Croydon, CR0 7YF. Covering Croydon, Purley, Sutton, Cheam, Banstead, Wimbledon and all surrounding areas. T Dean Building Contractors are a well established, trustworthy, reliable and professional company with over twenty years experience within the trade. We are based in Croydon covering, Croydon, Purley, Sutton, Cheam, Banstead, Wimbledon and all surrounding areas. We specialise in fitting kitchens and we can help you with the design, manufacture or sourcing of suitable units, and fittings. If there is something that you require that is not in the above list please call us as we can provide other services not listed. "Tony decorated a bedroom quickly, efficiently and thoroughly. He is calm and quiet and left the room totally as required. He also gave me some useful advice which I found valuable. Thank you, Tony." "Tony and George installed a dishwasher that a national company had problems with. They were calm and worked in a clean, efficient way and responded immediately to a later query I had. They lifted a weight from my shoulders." 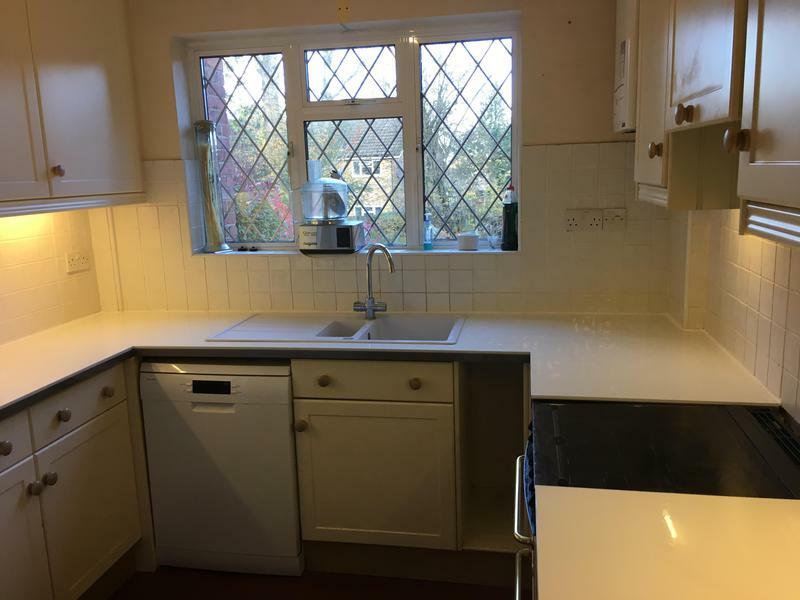 "Fitted our kitchen worktop at very short notice and too a good standard." "Tony and George did a really good job. They finished under time, and the result was better than I had imagined. I don’t impress easily but would really recommend T Dean. Really good customer service, he fitted in with my changing needs and delivered to my modest budget. Very Happy! 😁"